who is writing a blog about combinations of digital and traditional printmaking together. such as silkscreen, wood cut, linocut, intaglio, lithography, etching, collagraph and so on. She was very excited to discover so many fantastic NZ Printmakers on here! And asked if I knew of any NZ Printmakers who are making hybrid print work. please let us know, either by email or post a comment below. 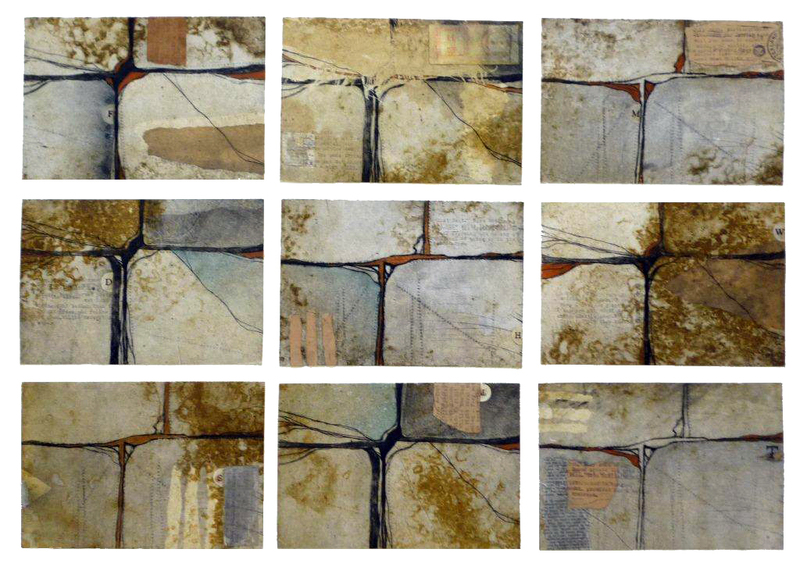 see the Tradigital Printmaking blog, it has some very interesting hybrid practices on it. from all of us New Zealand Printmakers! Let us know if you got any awesome printmaking stuff for Christmas!? The press was built in 2005. It is in very good condition. 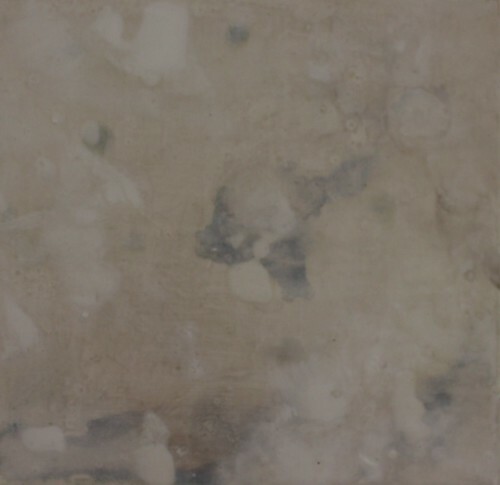 It has been used by two experienced printmakers, hasn’t had a lot of use at all. The press includes felt mats: two large and two small and a piece for solvent transfers. There is also a large water & dust resistant cover that will come with it. The press is located in Christchurch, and has just been re-serviced. It is heavy (about 300kg), so a freight company would need lifting equipment to pick it up. They would like $6000, but that is negotiable. I've had several requests recently from people who want to subscribe to NZ Printmakers blog. by adding a 'Follow'﻿ gadget in the column to the right. from 23 December til 25 January 2011. It includes new etchings, called the Black Light series, made with wash resists and aquatint. I am quite intrigued by these etchings, they have such an interesting texture and density about them. with each painting created slowly over an extended time period. with the finished piece sometimes taking up to six months to reach its end. the works are also available for viewing online on Mark's Flickr page. 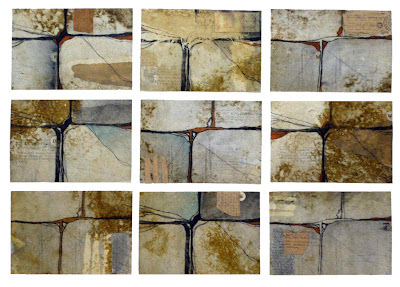 and a portfolio of work for exhibition in the Arstation gallery. silkscreen printing and the use of UV-light-sensitive processes. Aspects of the history and evolution of printmaking and printmaking protocols are covered. Being tutored by Jonathan Brown and Elizabeth Serjeant. so if you are interested then please call the ArtStation office on 3763221 ﻿for an interview. or if you have any other last-minute present ideas for printmakers??? using a variety of stencils, including photographic silkscreen, on fabric. Being tutored by Kate McLean, maximum of 8 students, cost $300. is a print competition open to all printmaking techniques and tendencies. The 2010 exhibition included 683 exhibiting artists from 59 countries. so you've got plenty of time to make some prints for it! Wow, I saw this amazing drypoint animation on Printeresting website. Kakyoung Lee: Grand Army Plaza, 2009 from Michael Steinberg Fine Art on Vimeo. 156 prints, in an edition of 3. Have any of you tried combining animation and print before?? Nemesis, the great Fortune (1502), Melencolia 1 (1514), and Hercules (1498). If you are near Ashburton over summer, go see the show for us. Post a comment about what you think... is etching still relevant today??? Posters available through Etsy if you want one. 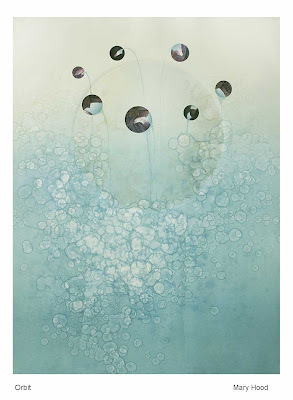 organised by Solander Gallery and featuring 27 New Zealand printmakers. at the Tweed River Art Gallery Murwillumbah, Australia. Solander calls it 'a vibrant snapshot of time and place in contemporary New Zealand printmaking'. It has a great selection of images, represents a good variety of NZ print work. See more information about the exhibition on Solander's website. and has just completed her visual art degree. and been member of the Central Print Council since its inception. where a variety of art courses are run throughout the year. If you'd like to know more, check out Kathy's website. a composite print in the form of a series of layers or sequences. photopolymer and polyester prints and woodcut or linocut. such as scale, colour, pattern and contrast. and is a renowned arts educator with more than 30 years experience. and conferences in the visual arts field. Her own work is in private collections in New Zealand and internationally. and will be held in the UCOL Print Workshop in Whanganui. The first demonstration will be grained aluminium plate lithography with Patrick Cush. 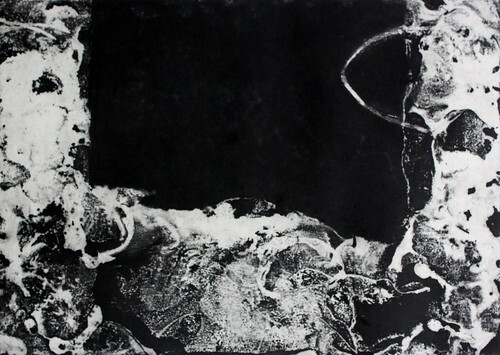 The second demonstration will be etching through photopolymer film into zinc plate by Marty Vreede. The rest will be open workshop magic, sharing your own ideas with others. as part of the Whanganui Summer School of Art. Students will be working in a range of print disciplines throughout the workshop. 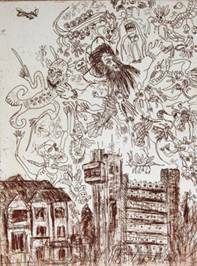 There will be an opportunity to work in both drypoint and monoprint processes. Students can explore and expand on their art ideas using water-based inks. and to combine a number of print processes including screenprint and woodcut. Drypoint Etching on 39x27cm paper, edition of 10. Graham Hall has been involved in Art and Art Education for the past 20 years. when he focused on gaining his Masters Degree in Art and Design at AUT. He has exhibited widely in NZ and overseas. Stephen Mumberson (MA RCA, RE) and Chris Pig. and imagery sourced from popular British culture. Chris Pig makes lino cutting and wood engraving of the highest quality. 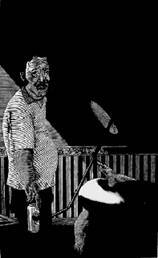 He was joint winner of the Society of Wood Engravers’ Award at Originals 09 in London. and there are works in this show from both Spain and London. as well as images of intimacy and domesticity. The works are on display 1-19 December 2010. See Art at Wharepuke's website for more information. I'll update this post if I get more information. Make the most of your summer break and go check out some art!